AverageGuy wrote: JT - The wife and I planted some seedlings in tubes this Spring as well. I hope I have acorns in less than 10. I guess if they grow rapidly and don’t produce they will still serve as cover for deer. Still not a bad thing for My purposes. We have White Oak around here and nothing eats those acorns that I’m aware of? There are what might be some Red Oak, I have one, in the cities and they seem to get hit on a little bit by squirrels and Blue Jays. Our Blacktail Deer eat other stuff and we don’t have turkeys. The Red Oak in my yard went from a seedling to a substantial tree in a very short time. Nothing eats white oak acorns there?!? Exact opposite here on the east coast. Whitetails will walk right by red oaks, water oaks, and everything else just to get to the white oak trees. The White Oak is very acidic in our soil. You can use the bark to do a very nice job of tanning hides. I have a bear hide with a bark tan. Most our local White Oak lives on the valley floor and in the cities, not in deer habitat. Farther south it is in more outlying areas and the trees are substantially smaller than the local trees. The local trees could be 100 ft high with four foot trunks, a couple hundred years old. They were this big when I was a kid and they’re still growing 70 years later. Some of them are at their maximum life span and are starting to come down. One landed on my sister’s house a couple of years ago, I grew up in that house. I brought home some acorns from New Zealand a few years back and planted them, nothing came up. They probably grew down.....? Wrong side of the planet. JT I was not trying to rain in your parade just sharing my experience vs the hype. Time will tell. The sawtooth seem highly similar to our native chicapins which the game loves. Orhunter your post is exactly backwards for all the country I have travelled. The red oaks are much higher in tannic acid and all game prefers the white oaks over the reds everywhere I have been. I did plant a sunflower patch for the dove. It got a nice rain on it yesterday. I have been multitasking though. I need to start a "Replanting" Thread. All the crops, native vegetation, roofs, nests, eggs, chicks, poults took a severe pounding in my area Saturday. The ground was completely covered. Been on the phone with contractors and Insurance agents all morning. Contemplating my options for replanting my corn and soybean plots next. Hope some hen turkeys are up for renesting or our decline is going to continue. AverageGuy wrote: I need to start a "Replanting" Thread. I hope you parked in the garage last night. AverageGuy wrote: JT I was not trying to rain in your parade just sharing my experience vs the hype. Time will tell. The sawtooth seem highly similar to our native chicapins which the game loves. I am with you on both accounts. No offense taken. I am aware that some have the experience you mentioned of no acorns for many years. Hop my experience is different. Just curious, did you plant your trees in absolute full sun? Many of the folks who had your experience with sawtooths failed to do so, and once they thinned out the trees around them enough for them to have full sun they began to produce well. Also, most deer serious deer hunters will tell you that white oaks produce acorns that taste better than red oaks due to the tannin you mentioned, which is why deer will hit the white oaks' acorns early season till they are gone. Once used up the red oaks' acorns are still waiting to be eaten, which deer began to then utilize due to lower food quantities available late season. The beautiful thing about it is tannin (which also is what makes coffee bitter tasting) preserves the food it is in making it still nutritious during late season. Or, makes me wonder if you might have a red oak on your hands, because people use the tannin their acorns produce to tan hides not white acorns as they have a fraction of the tannin. Last edited by JTracyII on Mon May 21, 2018 2:56 pm, edited 1 time in total. JT, I did my best to plant those Sawtooths in full sun. Sounds crazy, but it made me wonder if there were individual sexes to those trees and they sent me all of one so no pollination? They grew really well. As fast or faster than any red or pin oaks I ever planted. I also wondered if I wasn't too far north and that prevented pollination somehow. According to the info at the time they should have worked but I was at the edge of their northern range. AverageGuy wrote: JT, I did my best to plant those Sawtooths in full sun. Sounds crazy, but it made me wonder if there were individual sexes to those trees and they sent me all of one so no pollination? They grew really well. As fast or faster than any red or pin oaks I ever planted. I also wondered if I wasn't too far north and that prevented pollination somehow. According to the info at the time they should have worked but I was at the edge of their northern range. I haven't heard they have individual sexes, but that is a possibility I guess. I haven't looked into it. I hope they produce early and often, but I plan to plant other trees as well as deer attractants. I already planted 2 pear trees and many Common Hackberry (for wind and countless birds and other wildlife). I plan to plant some persimmons next year and will go from there. The sawtooth should at least grow fast which will be a benefit in itself as they will form a visual barrier from the place I plan to hunt to my house and dog kennels. I only need them to stay on my property for 1 minute beyond shooting light to be successful... Right now my dog kennels and house are fully exposed and quite a few deer roam my place at night, but typically leave by before light. Forester by profession here. Sawtooth Oak produce male flowers(pollen) and female flowers, which produce acorns in approximately 18 months from flowering. So two seasons. The trees produce both types of flowers and are wind pollinated. The bulk of the pollen is produced in the lower third of the crown and the female flowers are mostly in the upper two thirds to prevent self pollination. They prefer low ph acidic soils. Either a neutral or alkaline (too high) ph or a trace element(like zinc) was deficient. AG: Don’t know diddley about the different levels of Tannin in the different species??? I know White Oak will tan hides. I have an elk hide tanned with bark also. 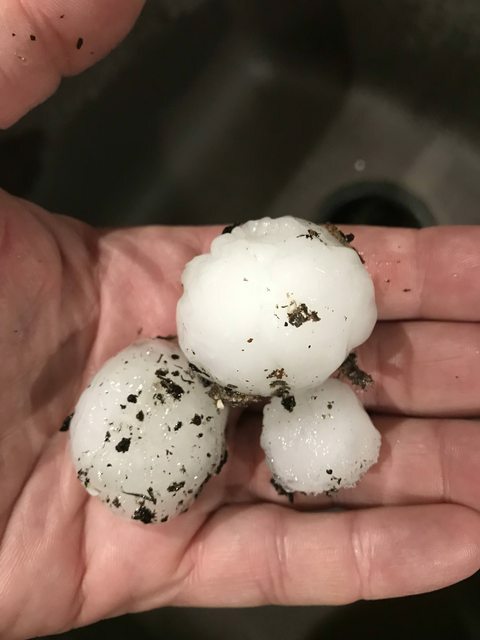 Sorry about your hail storm. No good effort goes unpunished. They’re just starting to plant corn in Wisconsin and Minnesota. Ground is still pretty wet and untilled. Was raining in Western Minnesota when I went through this morning. Hey Willie, There were many mature Post Oaks, some Red Oaks, Persimmons, Hackberry and Hickory around on the farm where I planted those Sawtooths. Does that offer any information as how the soils those native trees were thriving in relates to your post? Interested as I was disappointed and baffled as to why those Sawtooths grew well but never produced. Might want to try them again. Good to know we have a forester on board. Thanks for your insight. I got my soil tested in a few places. I’ll have to go back and look to see what the numbers were where I planted these particular trees. I don’t think my soil was considered super acidic in most of places I planted them, but not positive. What PH range would be acceptable for good growth and productivity?